Welcome to the latest edition of our weekly newsletter. In this week's email we launch a new era for our weekly communications, we take a closer look at your options in-store, and we pose an interesting question regarding the season's first major. Last week you received an email from us asking for your help. It wasn’t anything too onerous or time-consuming; simply sparing 20 seconds of your time to complete your golfing profile. The reason we’re asking you to do this is so that we can start sending you personalised content that is more relevant to your golfing needs. For example, if you’re a lady golfer with a handicap of 28 then the weekly emails you receive will include ladies product that will be suited to your playing ability. Likewise, if you’re a gentleman off 12, we will begin sending you content that will help you to get your handicap down to the holy grail of single-figure digits. Thank you to everyone who has already completed their profile and for those of you who haven’t been able to as of yet, please try and do so in the near future. This video is about how to get more lag so you can create that easy golf swing. You will see 3 golf lag drills that will help you create effortless power just like the pros. A lot has been made of the exciting crop of young golfers at the top of the world rankings right now – and rightly so – but it’s been the old guard who has been grabbing all the headlines in recent weeks. Following up Mickelson’s triumph at the WGC a couple of weeks ago was England’s Paul Casey, who secured a one-shot victory at last week’s Valspar Championship from none other than a certain Tiger Woods. Just seeing Tiger back in the hunt come the back nine on a Sunday made for fascinating viewing in itself, but it was great to see Casey return to the winner’s circle after his extended hiatus. With Mickelson, Casey and Tiger all the other side of 40 it certainly shows that there is still a bit of life left in the old dogs yet. With the Masters just three weeks away, is your money on youth or experience? Do you wear a glove? From rain and thermal options to tour-favoured leather and more budget-friendly synthetic, there are lots of gloves for you to consider, which is why we’re here to lend a helping hand. Why do tour players choose leather? Well, leather gloves offer the best feel with the traction you need to generate power. It’s also moisture resistant so will stay soft for longer. 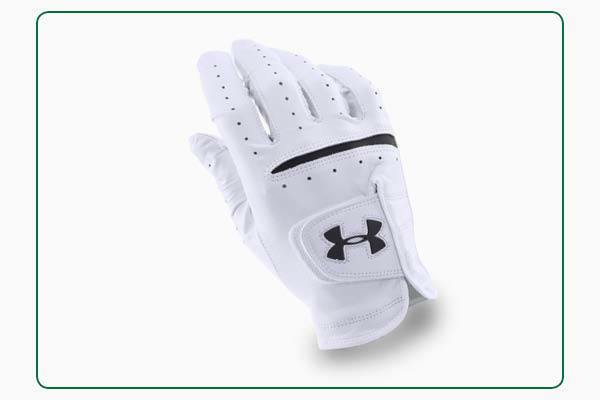 One glove that fits the bill perfectly is the Under Armour Strikeskin Tour. Its built-in closure tab provides the perfect custom fit, while its specially tanned leather stays soft for maximum comfort on every swing. We know many of you use a trolley when taking to the course so this lightweight BIG MAX Aqua Space cart bag could be perfect for you. 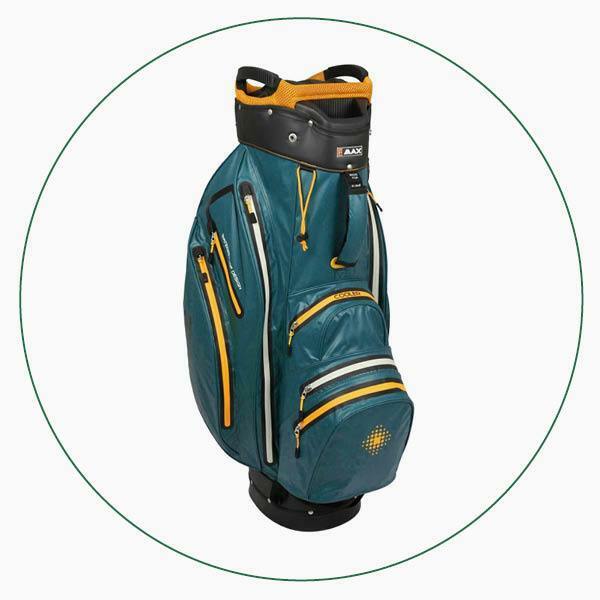 It won’t just carry your clubs, clothing and accessories in its 14-way top and nine spacious pockets, but its 100% waterproof material, taped seams and waterproof zips will ensure everything is protected, whatever the weather. If you’re an all-weather golfer who loves your trolley, this lightweight BIG MAX Aqua Space cart bag could be your perfect piece of kit. 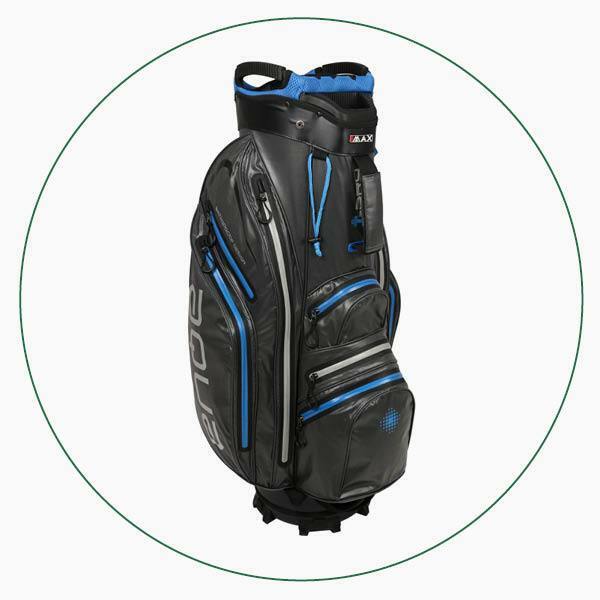 It won’t just carry your clubs, clothing and accessories in its 14-way top and nine spacious pockets, but its 100% waterproof material, taped seams and waterproof zips will ensure your gear is protected, whatever the weather. Those of you who have been in the shop over recent weeks will have noticed a lot of new products sitting on the shelves, including Skechers' 2018 shoe range. 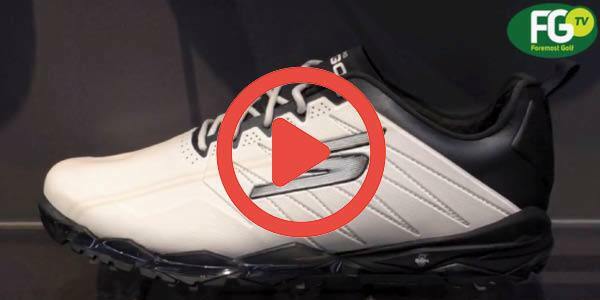 Skechers trainers are synonymous with comfort and their women's GO GOLF range is no different. The Eagle and Eagle Pro models both look fantastic and are a must try for any lady golfer considering new golf shoes this year. 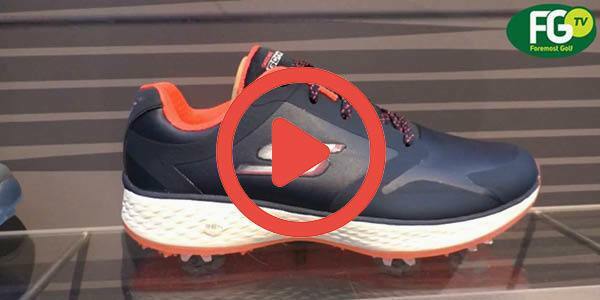 Skechers trainers are synonymous with comfort and their GO GOLF range is no different. The Pro V.3, Elite V.3 and Focus 2 are all worn on tour and are a must try for anyone considering new golf shoes this year.